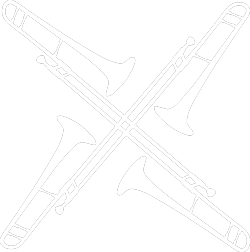 The Slidin’ About Trombone Quartet has a wealth of experience as a dynamic chamber music ensemble. In each performance they display the versatility of the trombone, entertaining programmes and personal approach that allows them engage fully with the audience. Recent concert appearances include the Thaxted Music Festival and the Lincoln International Chamber Music Festival. 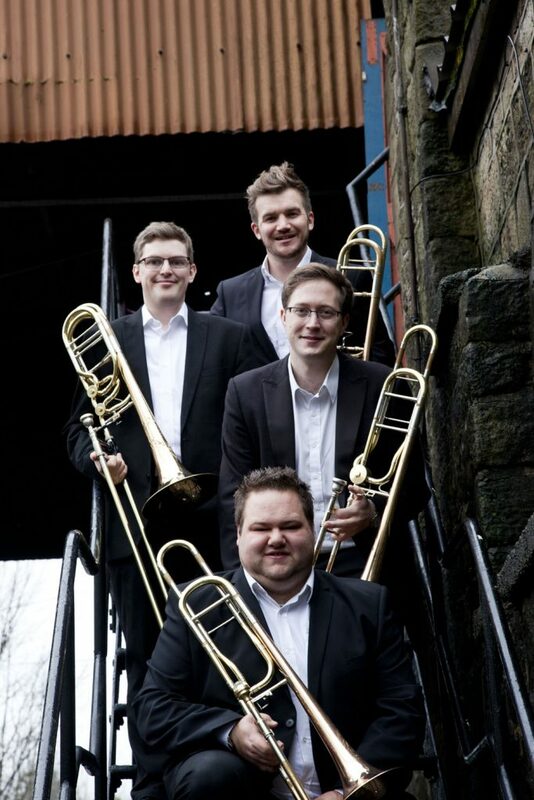 The quartet are passionate about expanding the trombone quartet repertoire and regularly collaborate with composers to commission and premiere new works such as Rude Mechanicals (David Lancaster, 2016), Risorgere (David Gillson, 2017) and Circus Suite (Tim Power, 2017). In addition, all four members regularly arrange pieces for the ensemble to perform and can arrange anything upon request. Examples of a one hour programme can be found below. They are all adaptable and interchangeable to fit any occasion. For more information and a complete repertoire list, please contact us.